In San Diego Valentine’s Day is right around the corner – do you and your loved one have plans? At Lionfish, we have your special Valentine’s Day dinner all taken care of. If you’re still looking for ideas for things to do, we also have a few suggestions to help you out. Take a romantic helicopter ride over San Diego for a truly unforgettable Valentine’s Day. During this two-passenger ride offered by Corporate Helicopters, you’ll see sights including La Jolla Shores, Scripps Pier, Sea World, Torrey Pines, and more. The ride lasts approximately 18 minutes and offers you and your loved one a truly unique view of the city. Make your reservation now. Take in the stunning views of the shoreline with a Valentine’s Day Romance Coastal Cruise. A 45-foot fast catamaran will take you on a two-hour cruise along the coast. This special cruise comes with wine and chocolates, and starts at 4 pm, leaving you plenty of time to enjoy dinner after. Book your tickets now. Alternatively, take a sunset whale watching cruise on a catamaran. During this two-hour cruise, you’ll look for gray whales, minke whales, humpback whales, find whales, and dolphins. Sometimes you’ll see sea lions, Orcas, turtles, sharks, and other sea life. Book your tickets now. At 8:00 pm on Valentine’s Day, head over to The Music Box in San Diego to see “Somebody to Love – A Queen Rock Ballet & Concert Starring Brian Justin Crum.” San Diego local ballet dancer Kirsten Bloom Allen and America’s Got Talent finalist Brian Justin Crum blend together the music of Queen with dance. Reserve your tickets now. Round out your day with a special Valentine’s Day dinner at Lionfish. 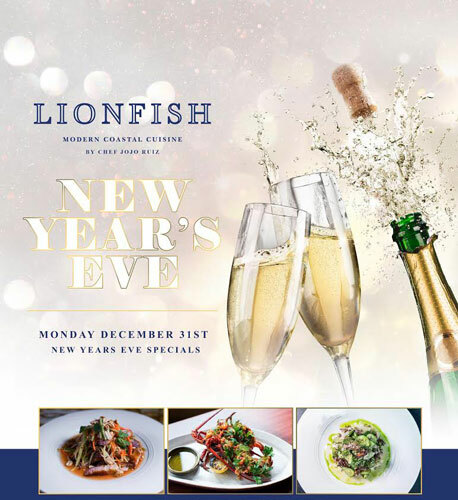 When you dine at Lionfish, you know that you’ll get a quality meal that’s full of flavor. That’s because our fresh-catch cookingincorporates seasonal ingredients prepared with innovative twists. Start your night off with a hand-crafted cocktail. 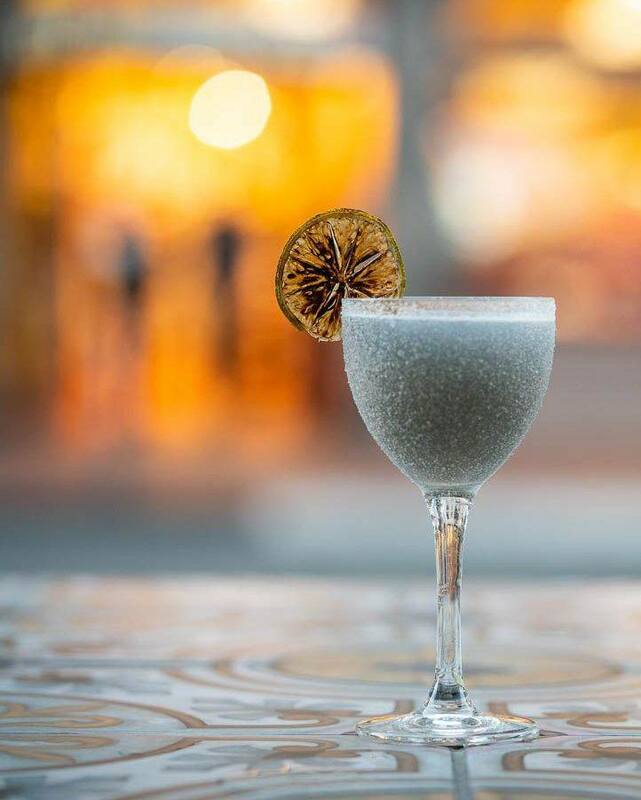 Our The Final Rose cocktail is perfect for the holiday, and its blend of Absolut Eryx, Lilet Rose, Fino Sherry, watermelon, ginger, lemon, and basil is the perfect way to start off your night. Looking to spice up your night? Then the Hot In Jalisco cocktail is for you. Enjoy a powerful kick of Habanero Infused Don Julio Blanco, grenadine, grapefruit, and lime. The Al Capone cocktail is another great choice. Its blend of Bulleit Bourbon, Amaro Nonino, maraschino, cinnamon, and Angostura is full of flavor. And if you like something a little bit sweet, the No Way Rose cocktail features Belvedere, Ferrand Dry Curaco, maraschino blood orange, lemon, Chandon Rose, and peach bitters. Thanks to our extensive selection of wines, we’re sure to have the perfect pairing for any entrée. Perhaps this is the night that you indulge in that champagne that you’ve been wanting to try, or maybe a glass of red or white is more to your liking. Overwhelmed by the menu choices? Your server would be happy to help you choose the perfect wine for your special night. Then, indulge in dessert like only Lionfish can do. Our Dark Chocolate Pot Au Crème is paired with roasted and fresh strawberries, shortbread, and chocolate lace. 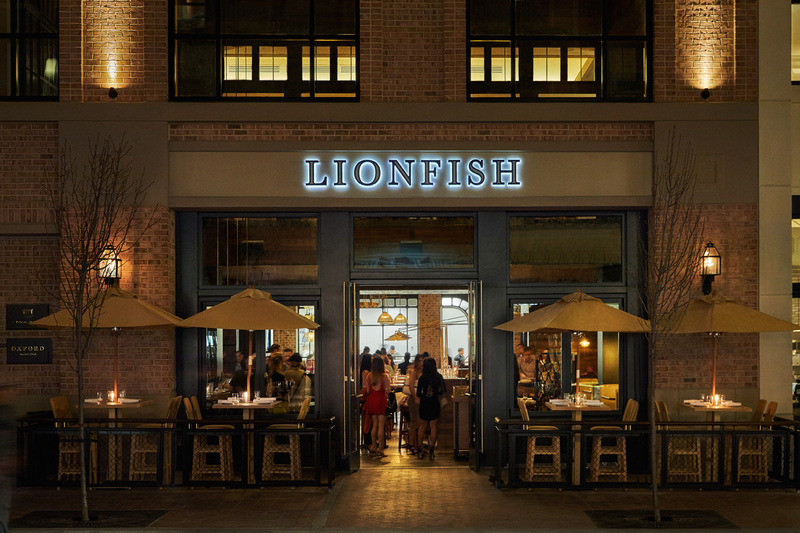 Conveniently located on Fifth Avenue in San Diego, you can easily make Lionfish part of your Valentine’s Day plans. 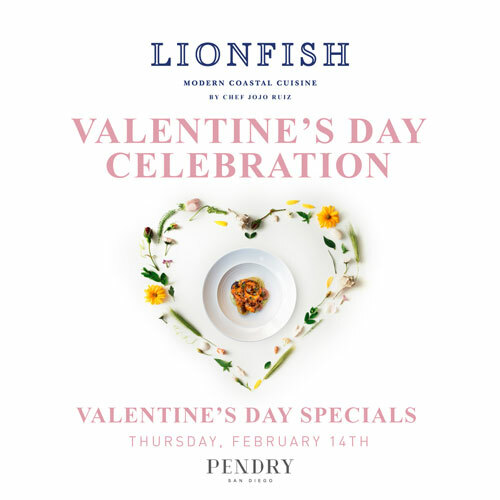 Whether you enjoy dinner before going out to see a movie or play, or make Lionfish your destination after spending the day together, we would love to provide an extra-special Valentine’s Day meal for you and your loved one. Please be sure to make your Valentine’s Day reservation now, since our dinner specials are sure to be popular.